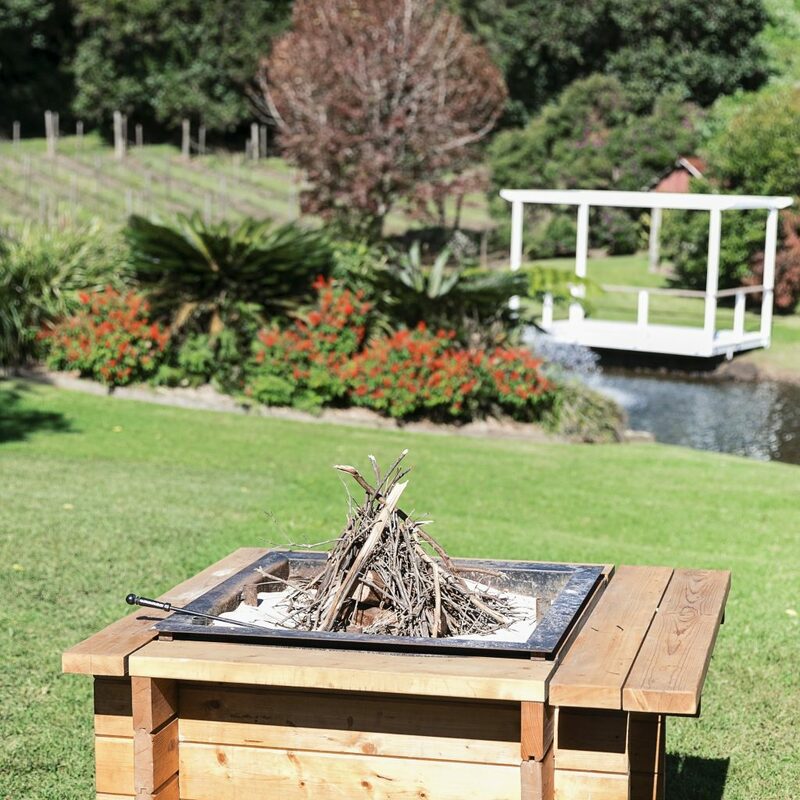 One that flows through the whole estate in a variety of spaces or rooms in a style all of your own? 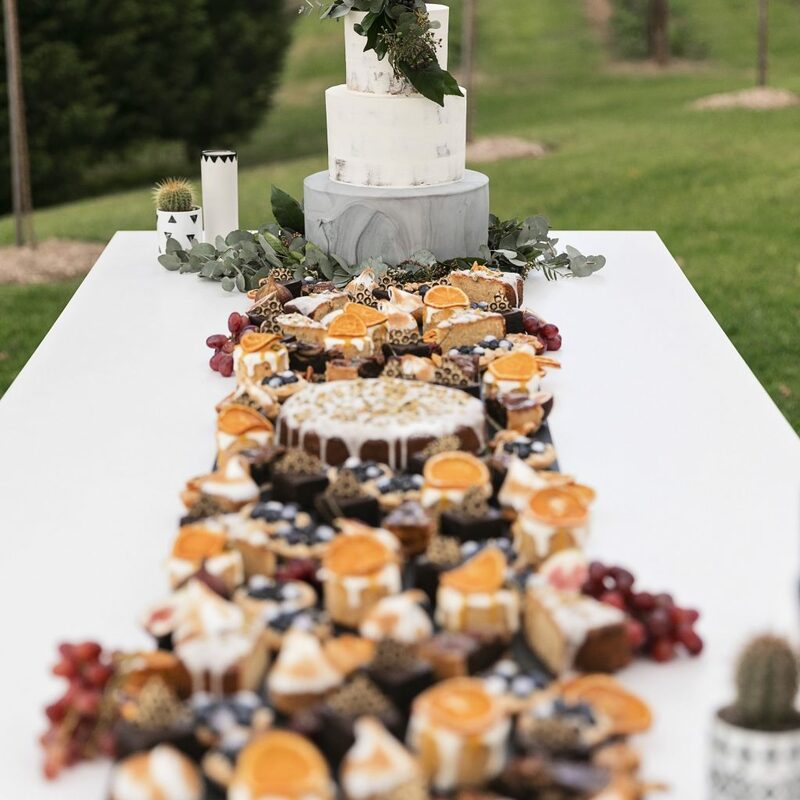 Individual style and bountiful foods, plus professional assistance so the planning and setup is seamless with our stylist and florist. 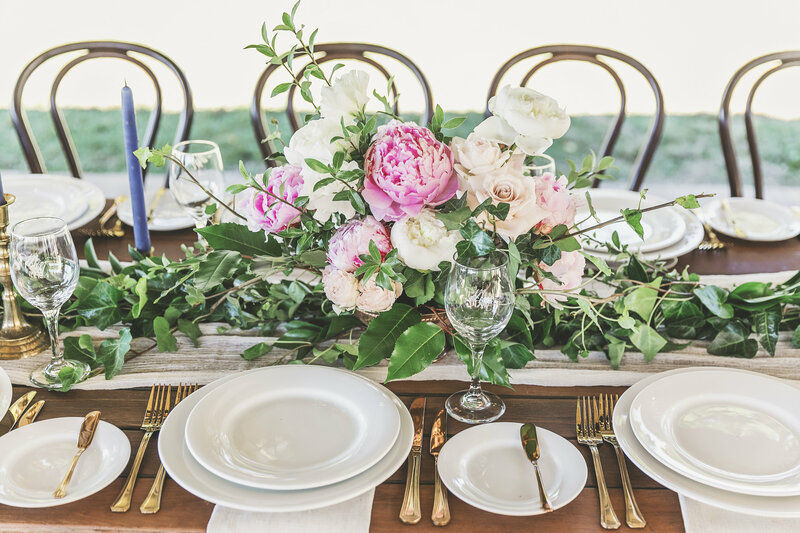 A vision of styling and florals to add all the luxury elegance in different locations with a much more relaxed style of dining? 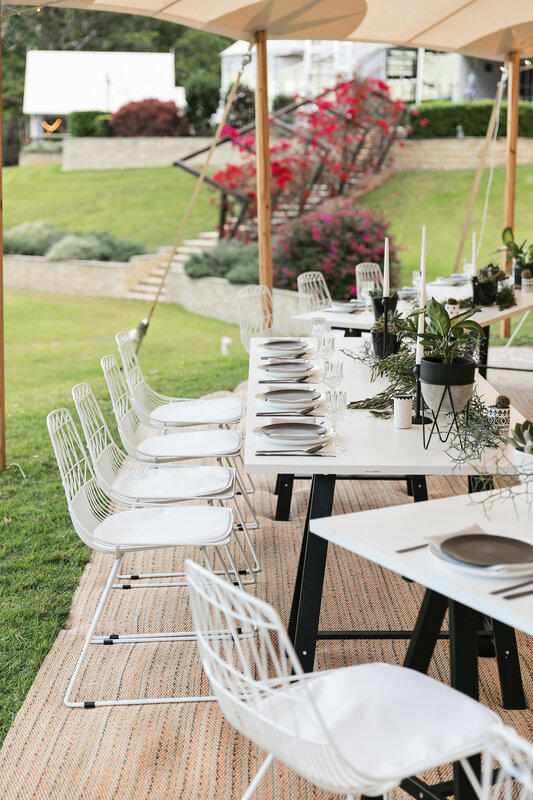 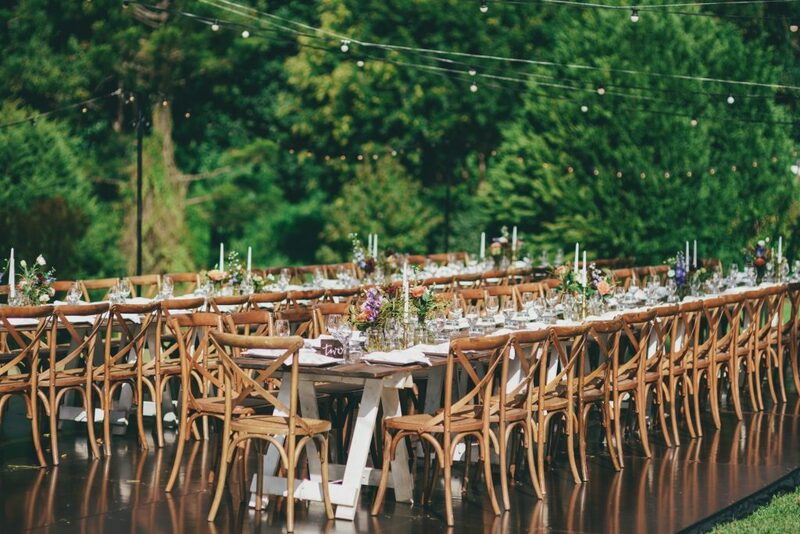 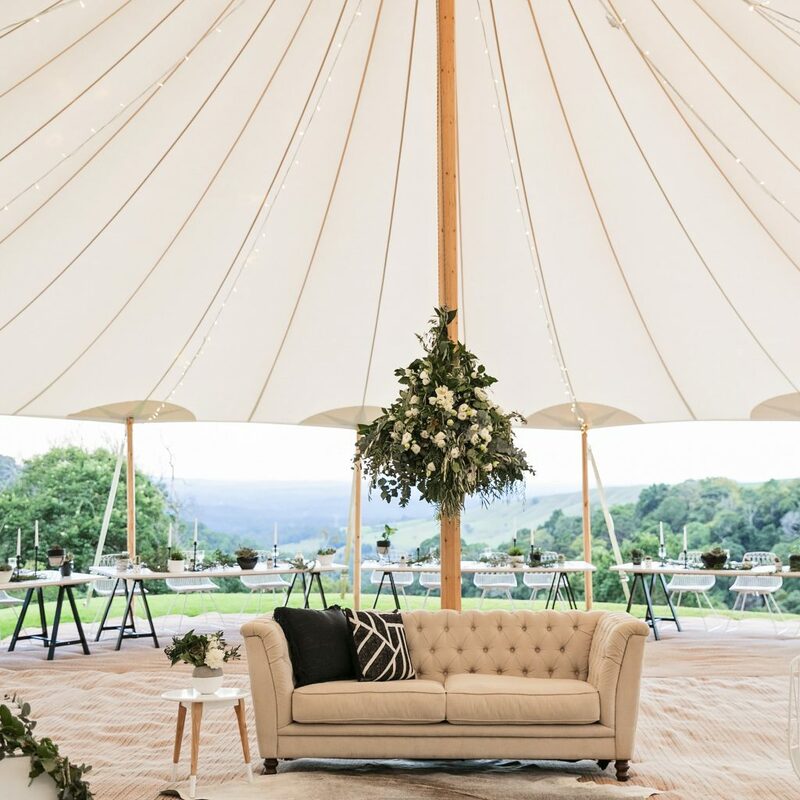 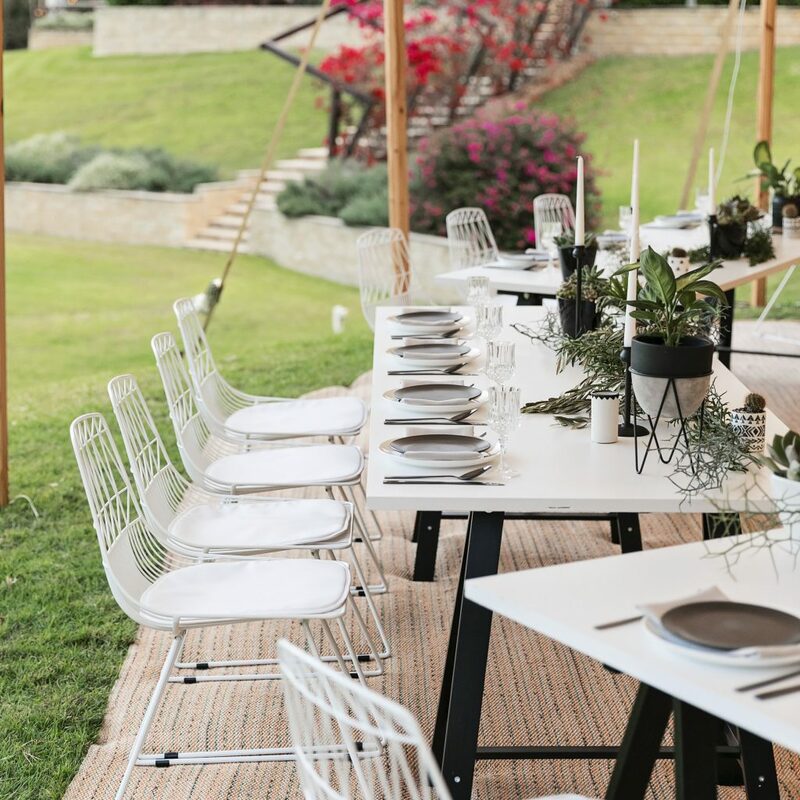 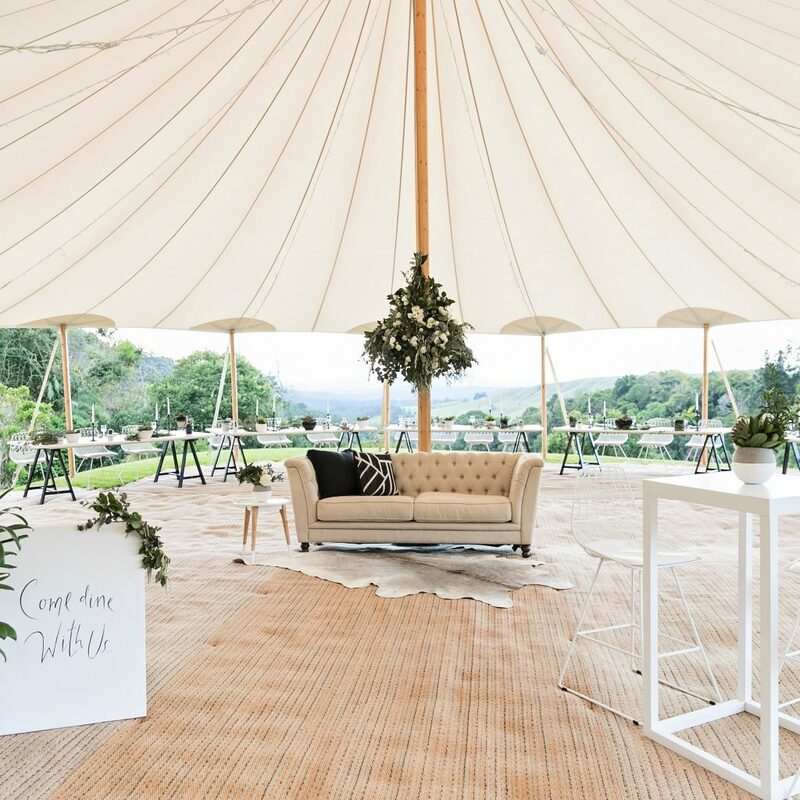 Start on the plateau , move to the pavilion and garden party with a glass of bubbles in hand, flowing through the whole venue and the grand finale the “Supper Club” and dance time inside the Manor and the indoor/outdoor bar. 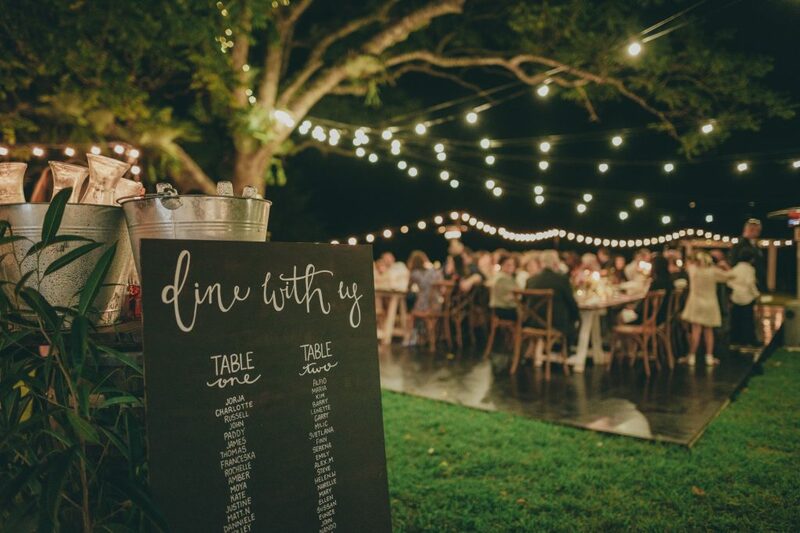 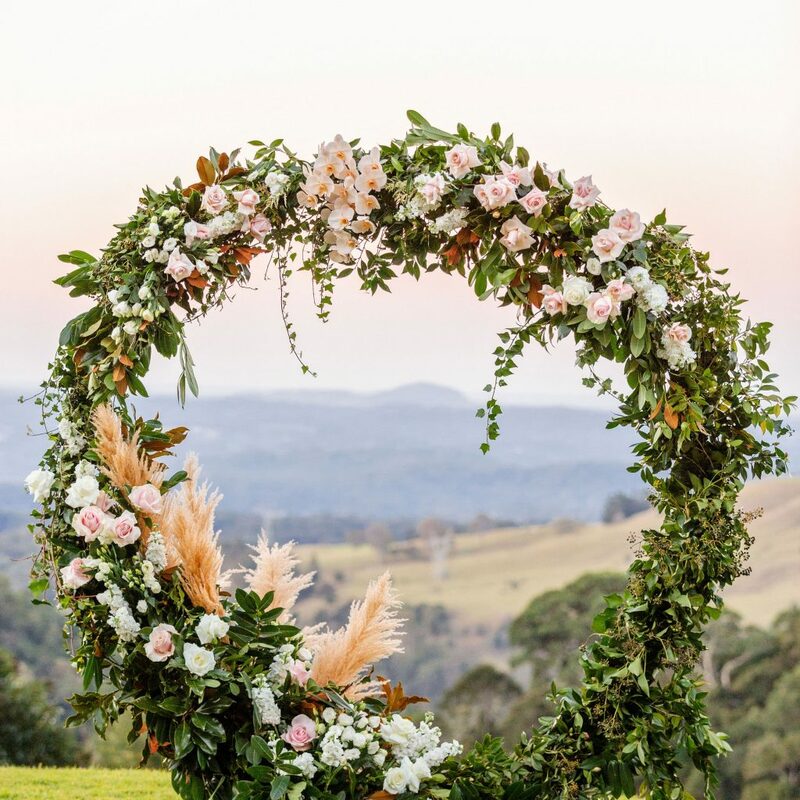 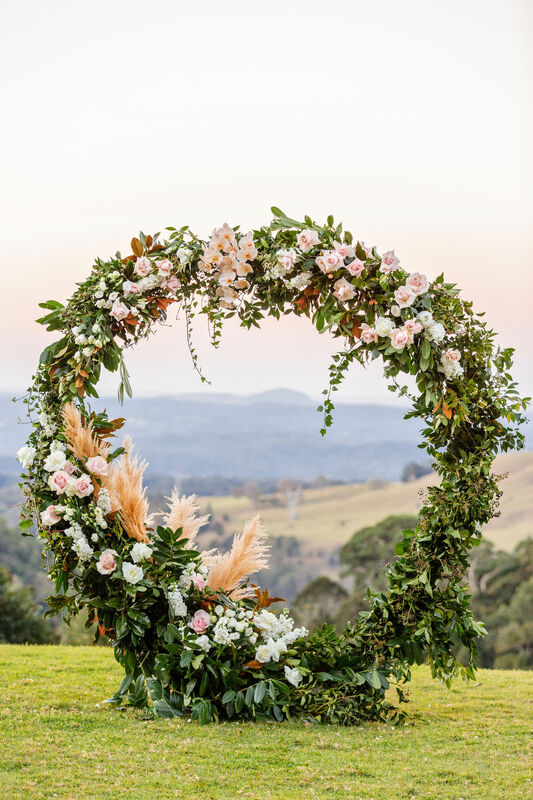 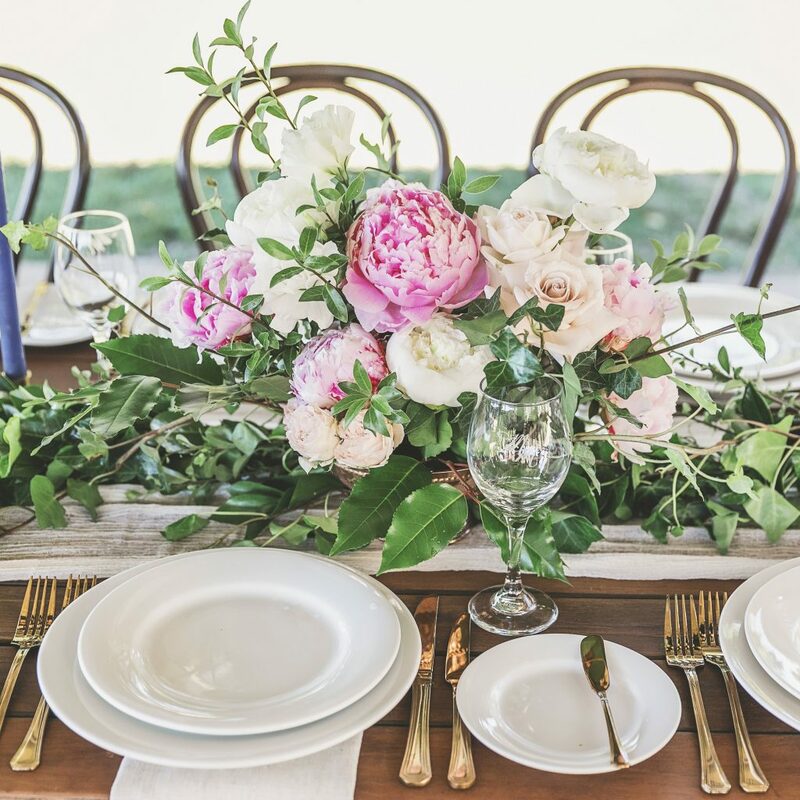 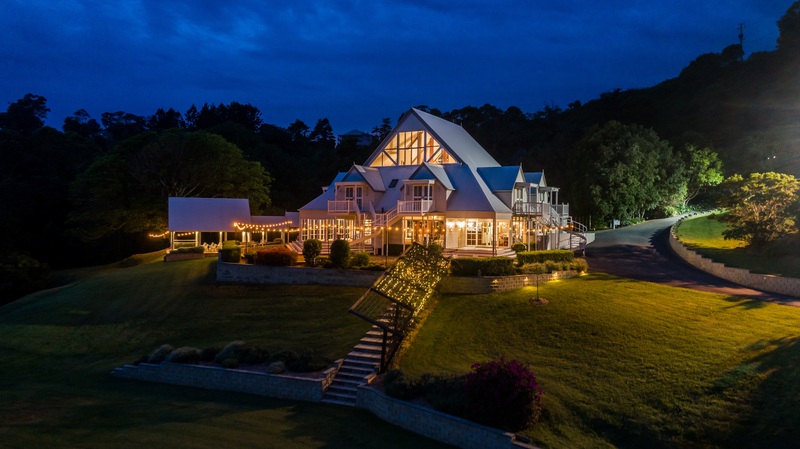 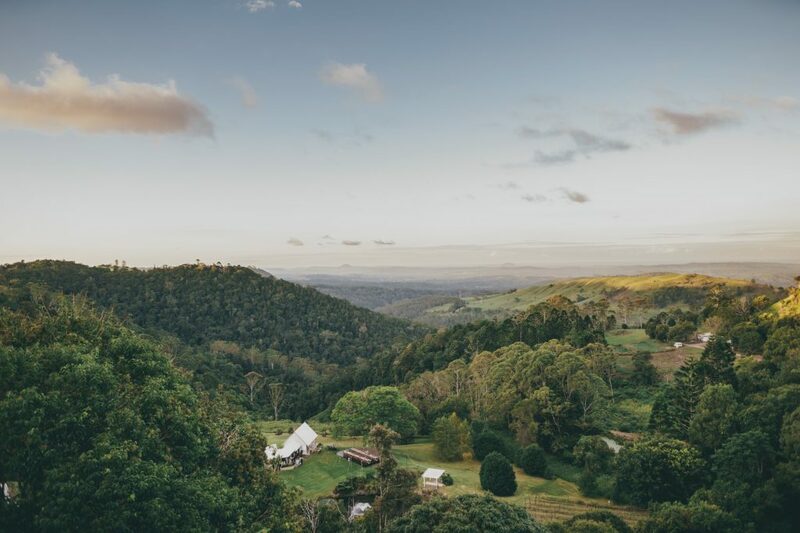 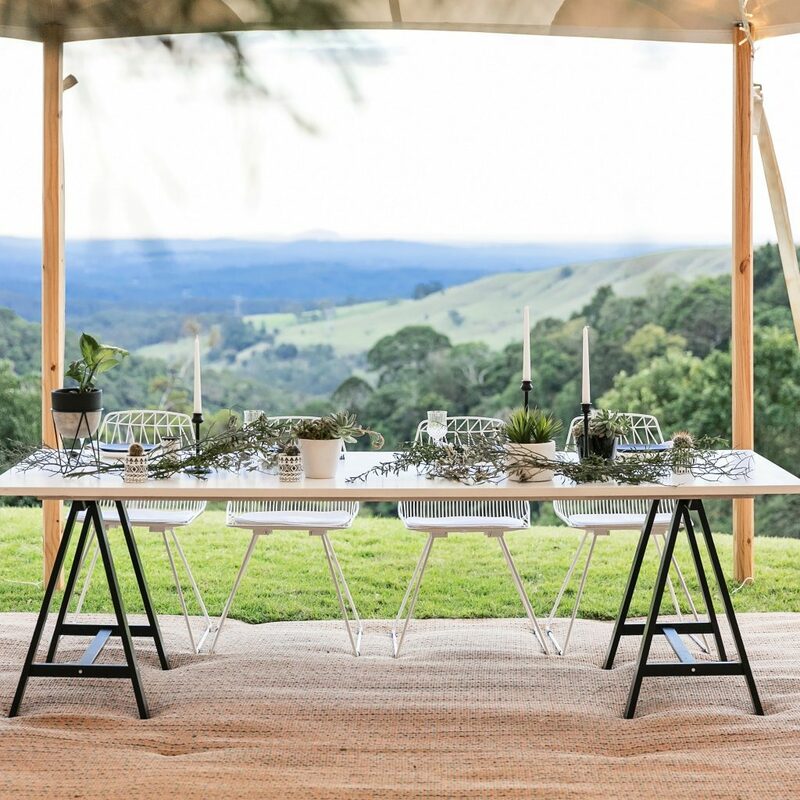 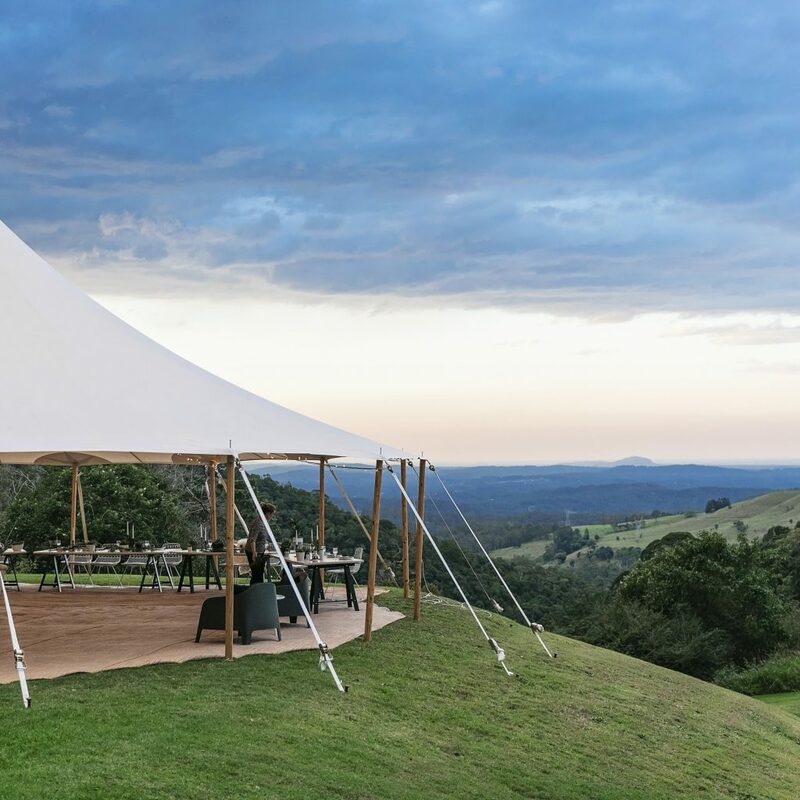 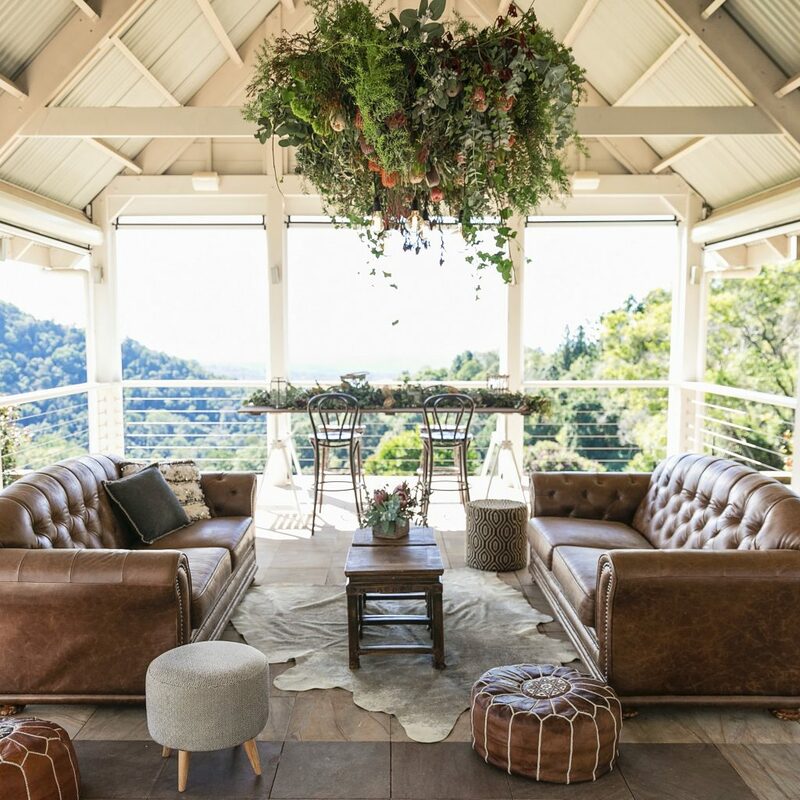 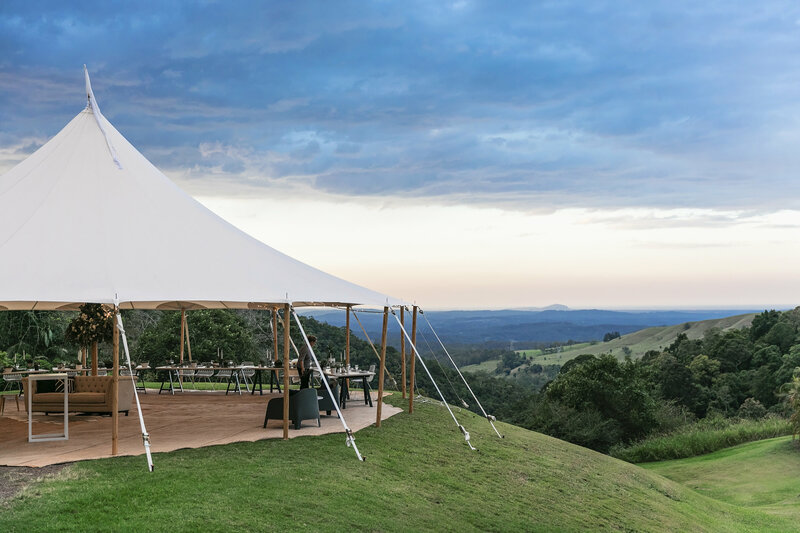 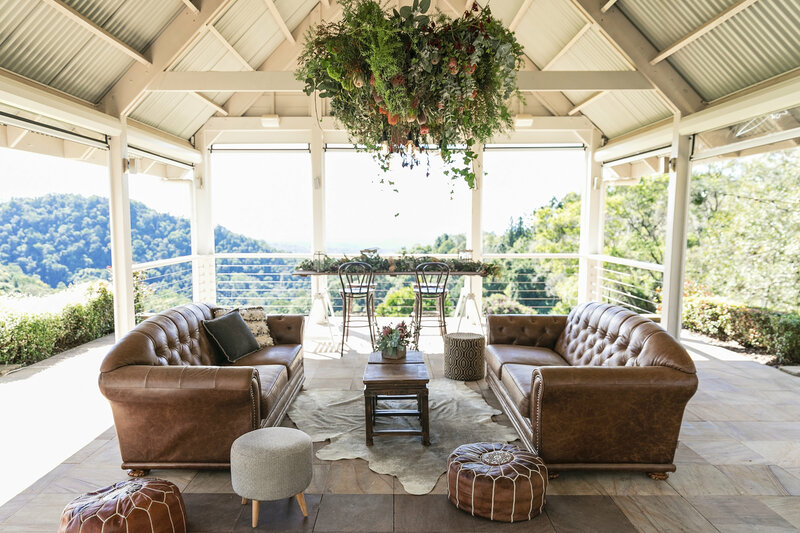 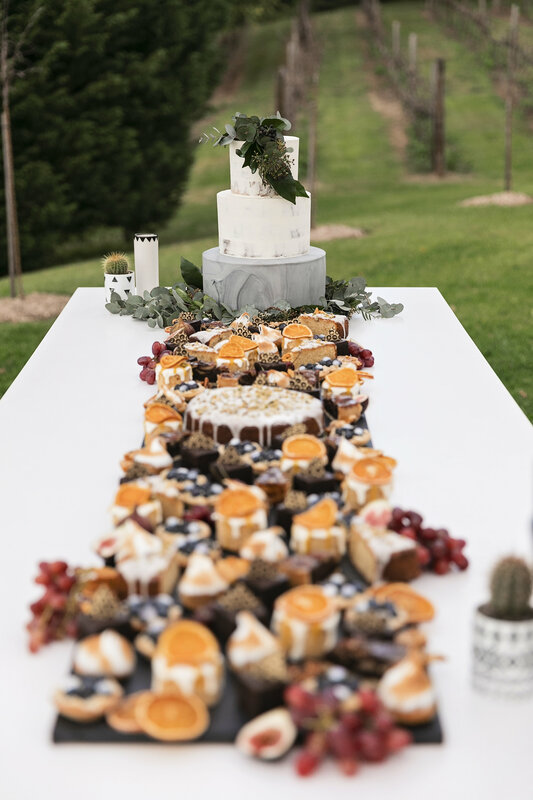 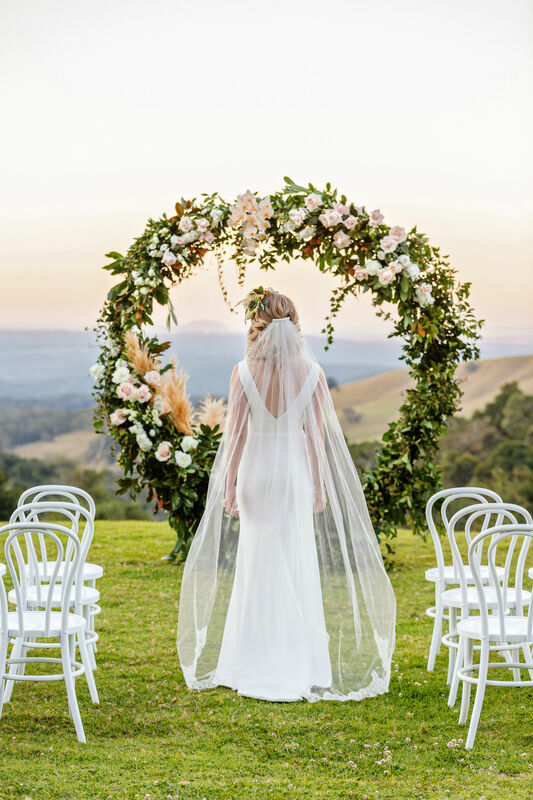 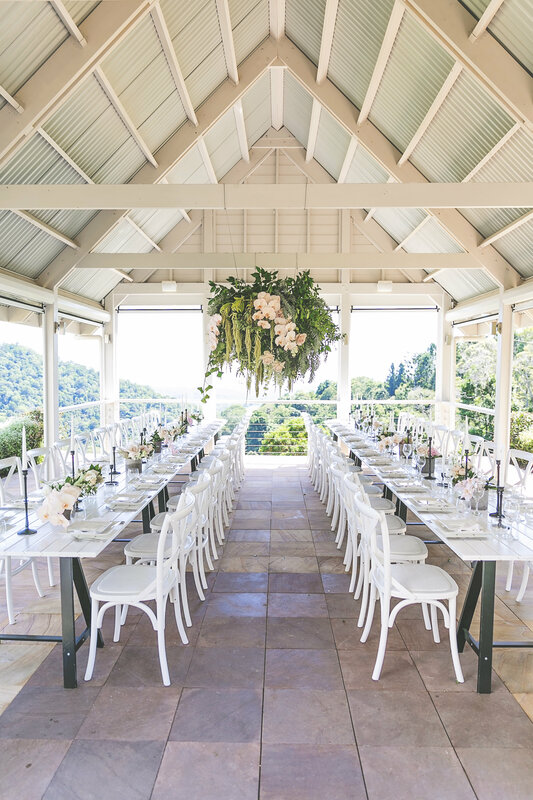 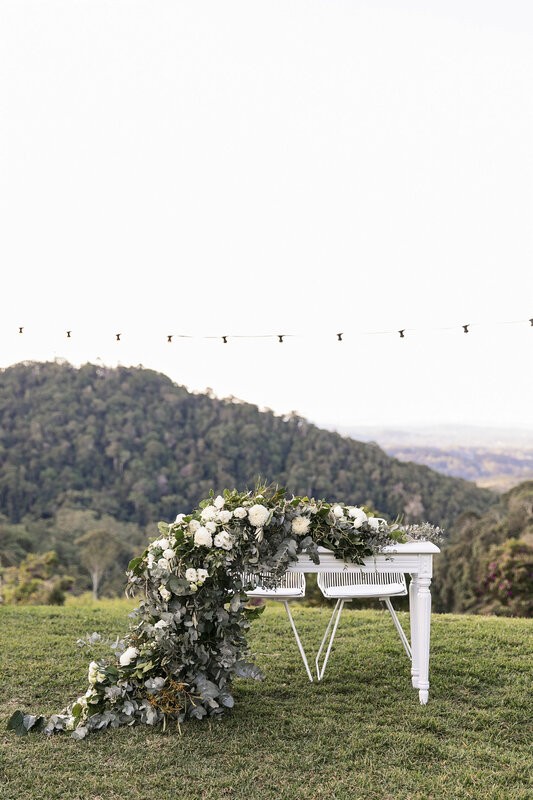 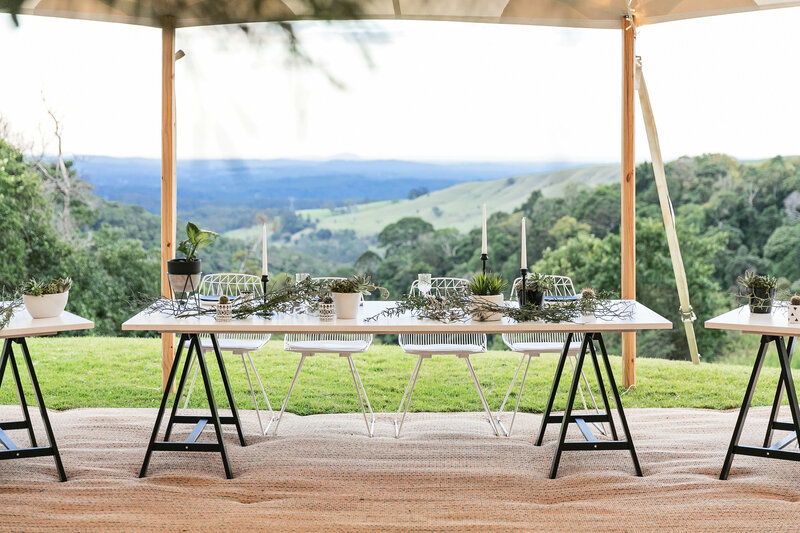 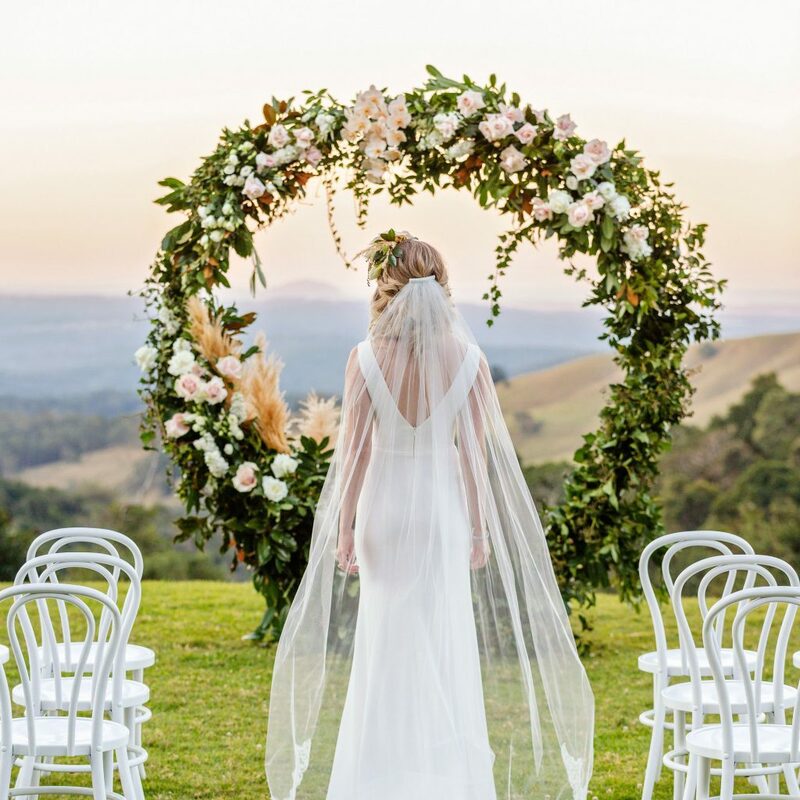 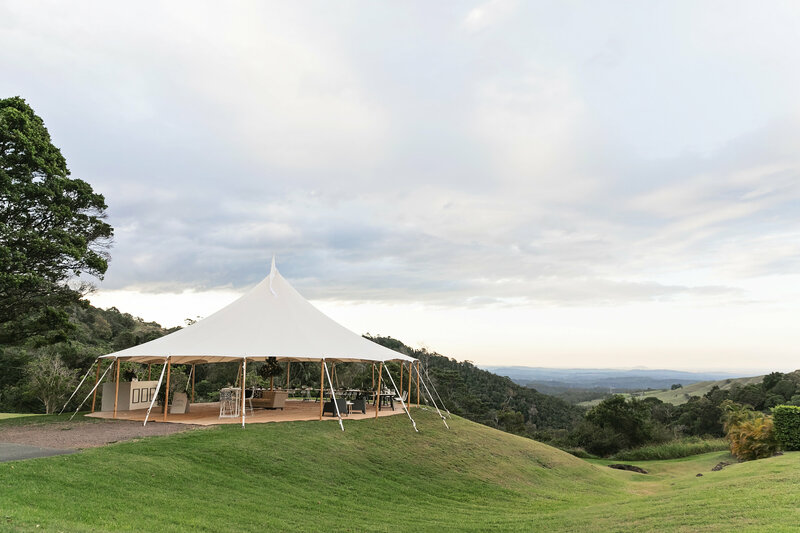 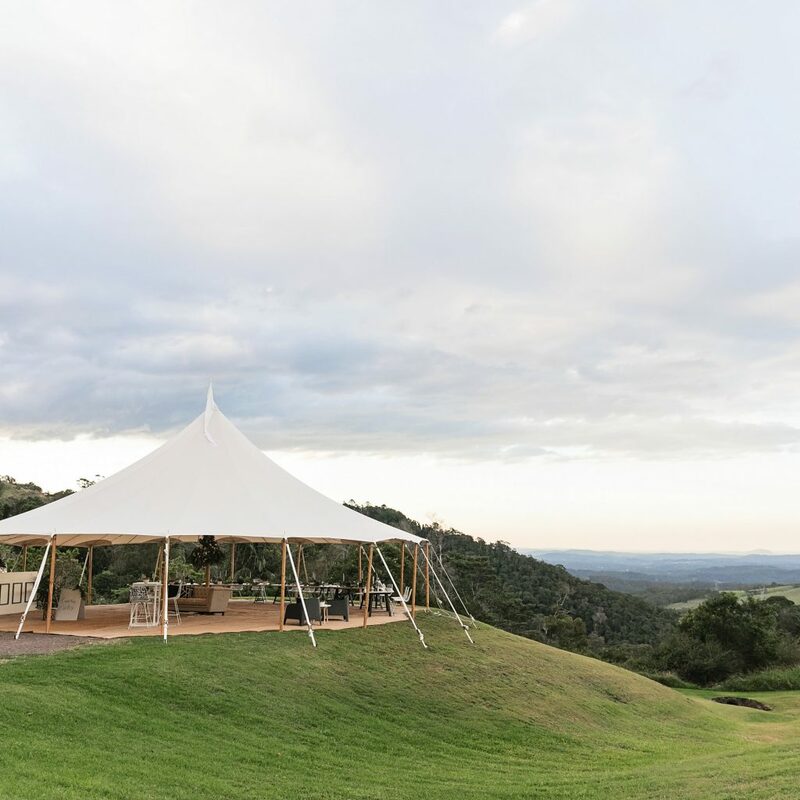 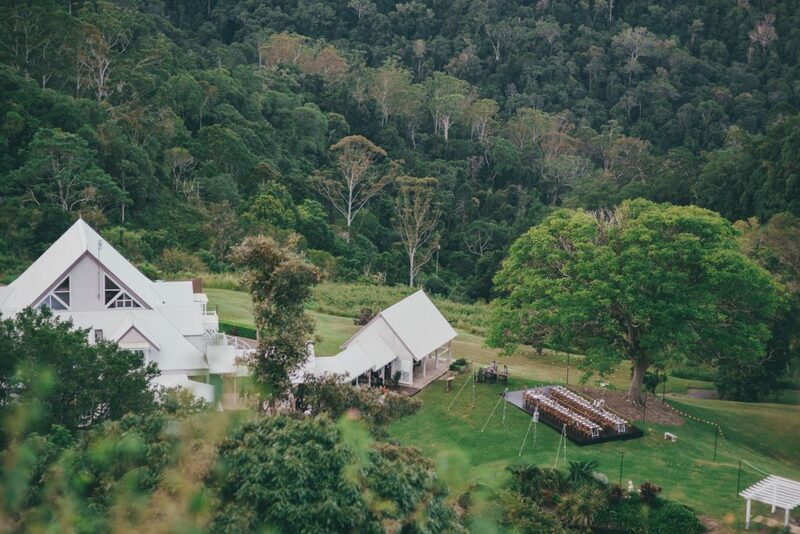 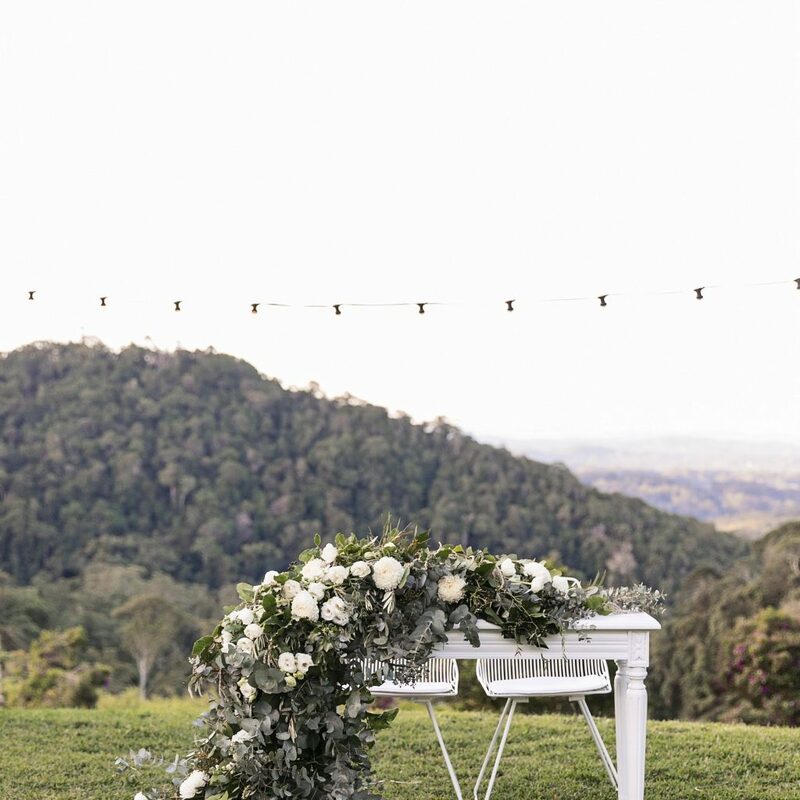 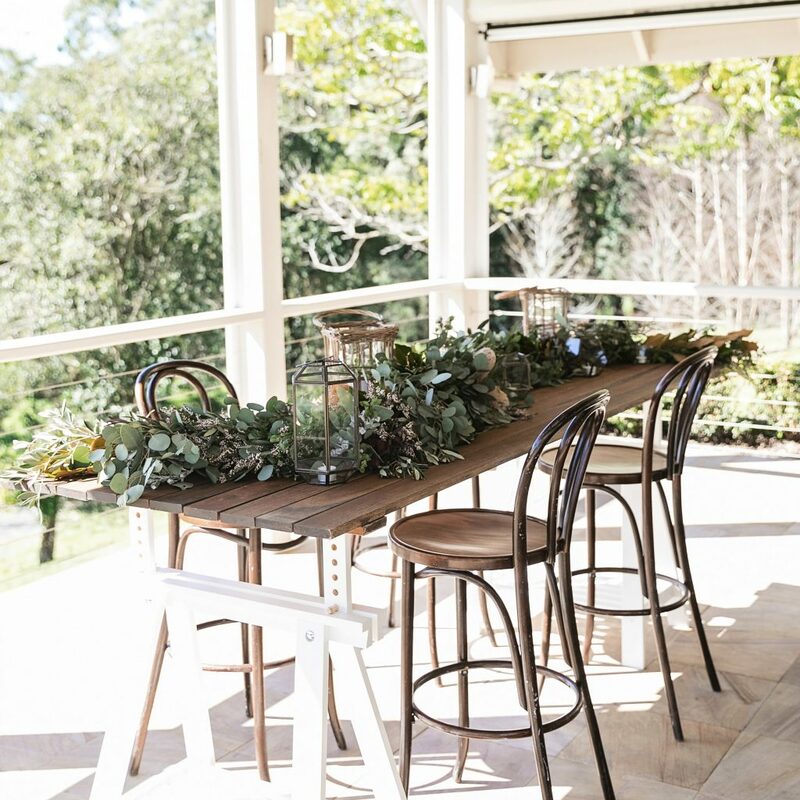 We have a team of Maleny Manor Mentors to guide you through all the processes and keep you on track if you are international or interstate with full style briefings, florals, hand crafted foods and beverage, service you desire and a coordination team with you every step of the way. 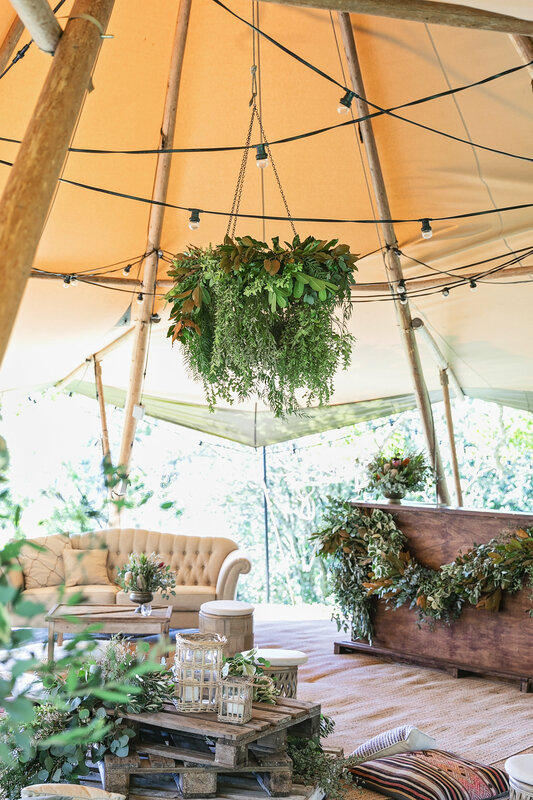 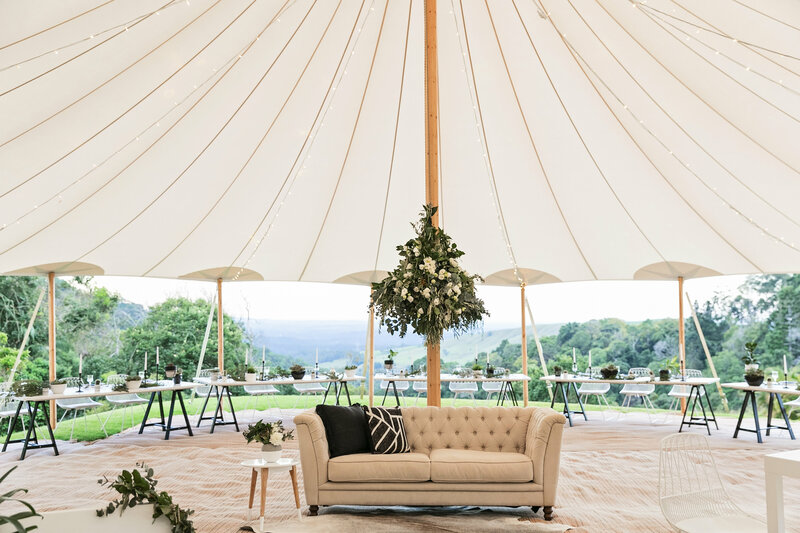 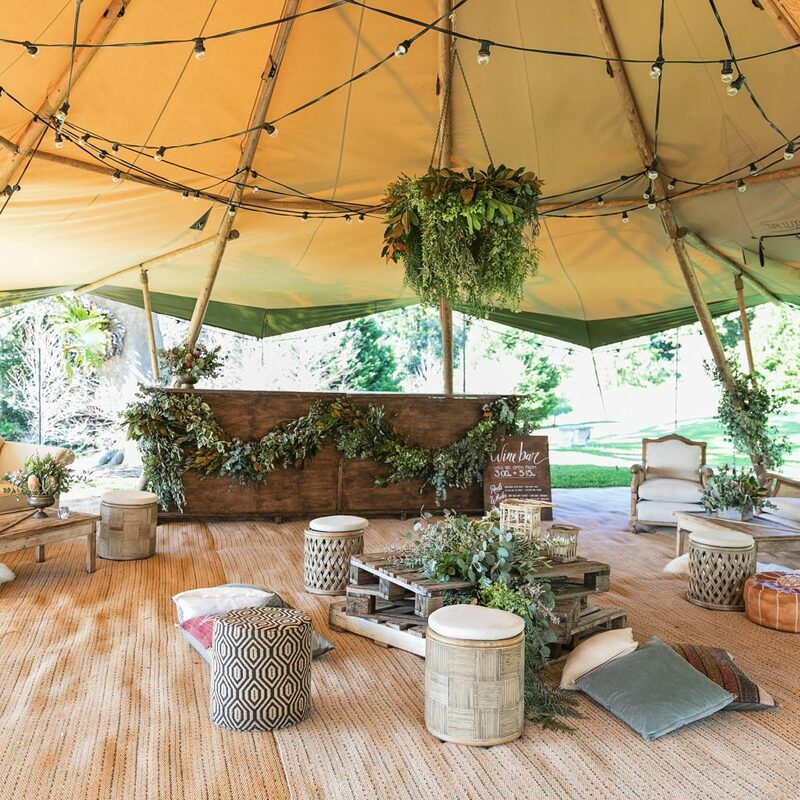 Creating a totally bespoke style event for your day from the ground up!…start with Lovebird Weddings and start dreaming! 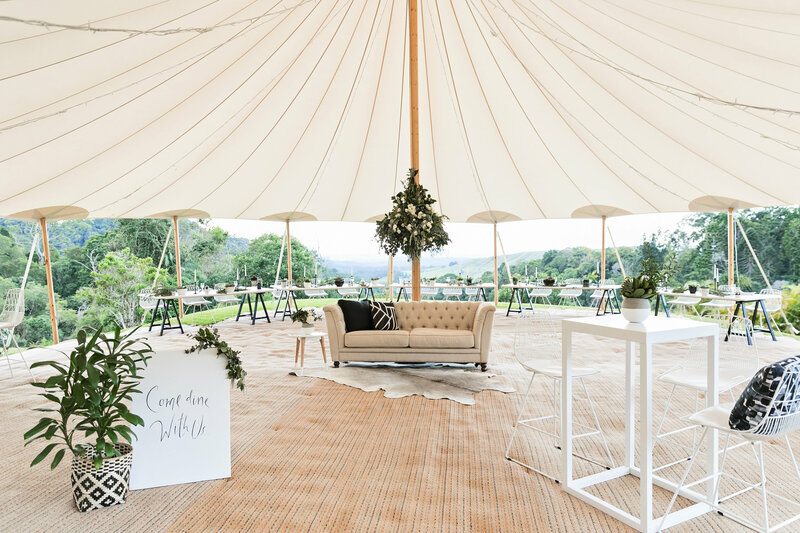 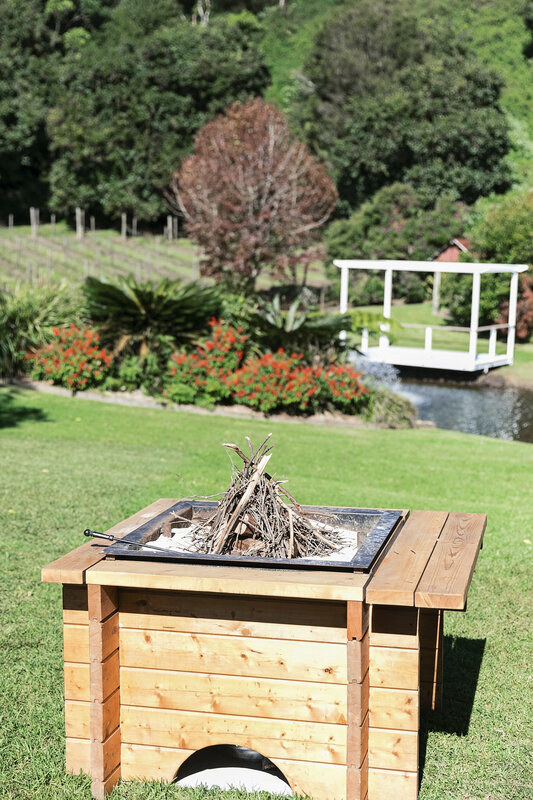 You may start with a ceremony on the plateau, move to the garden party past the Manor and our drinks waiters serving after ceremony drinks. 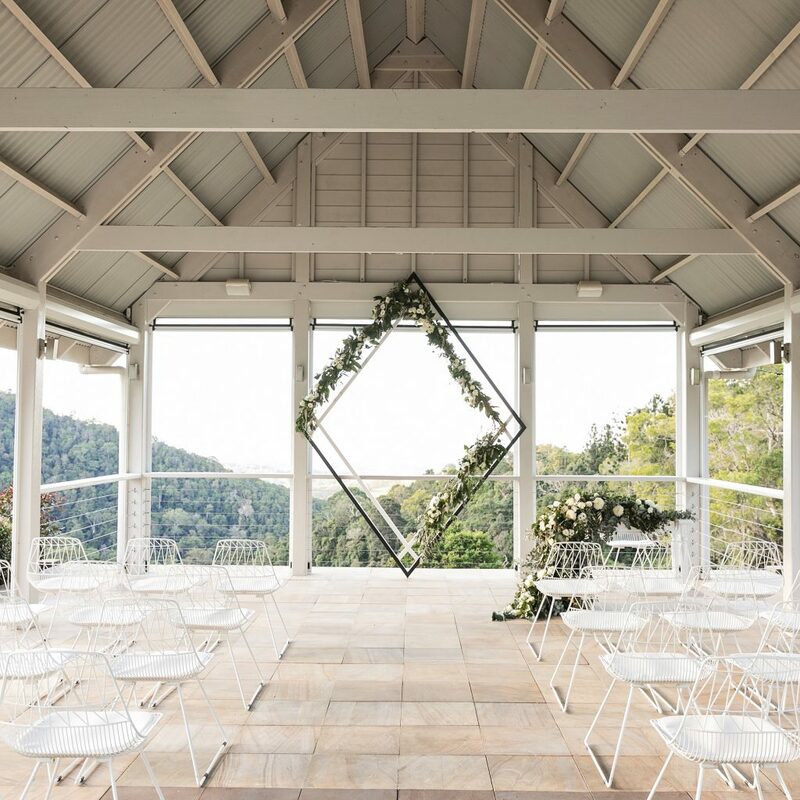 Onto the decorated Pavilion and walkways and then finish with dessert supper bar with dancing and lounge vibe inside the Manor. 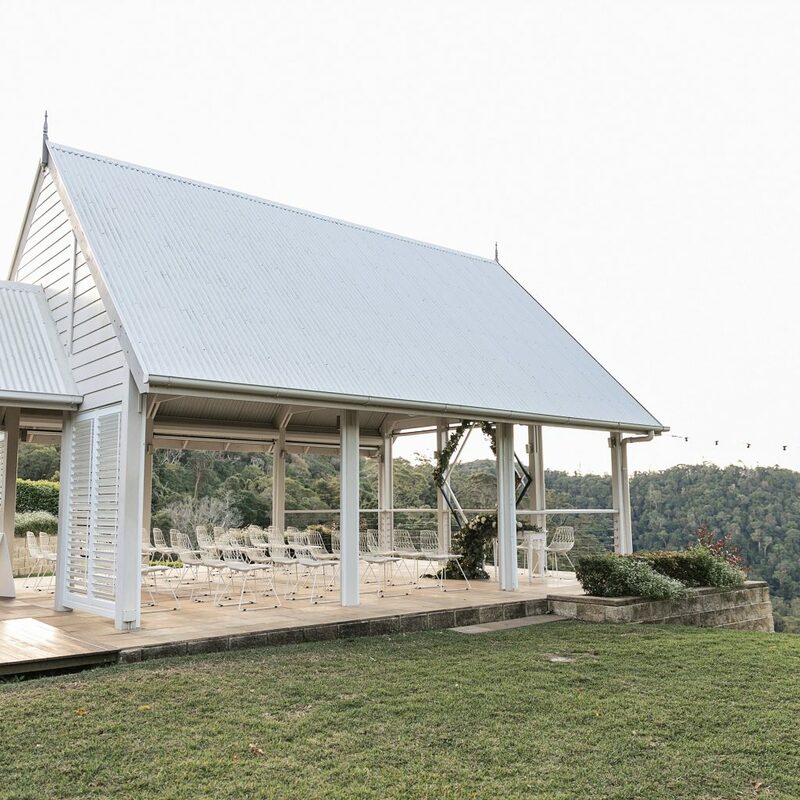 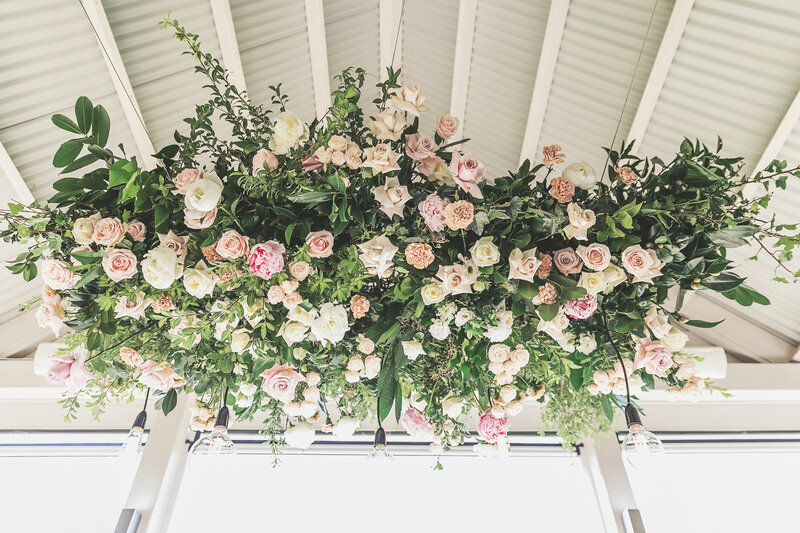 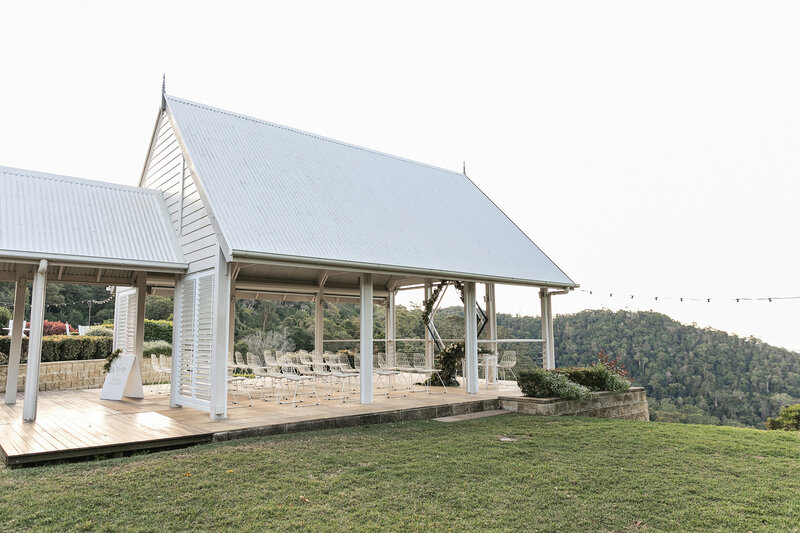 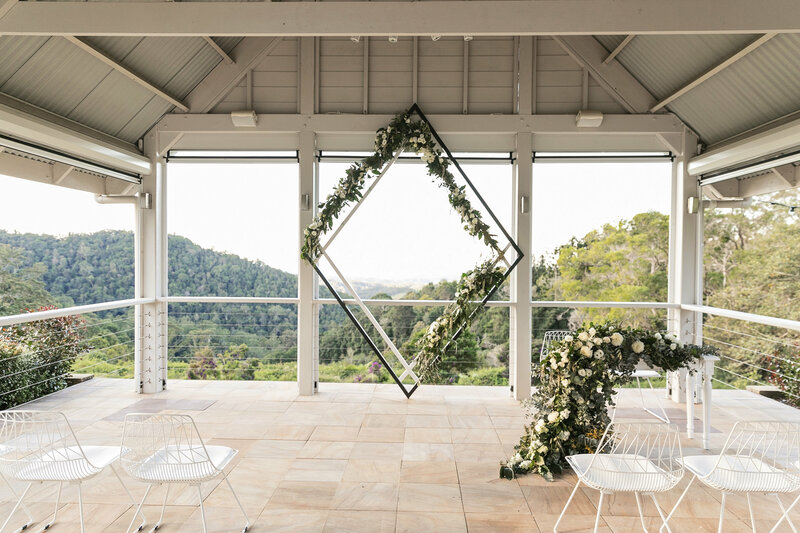 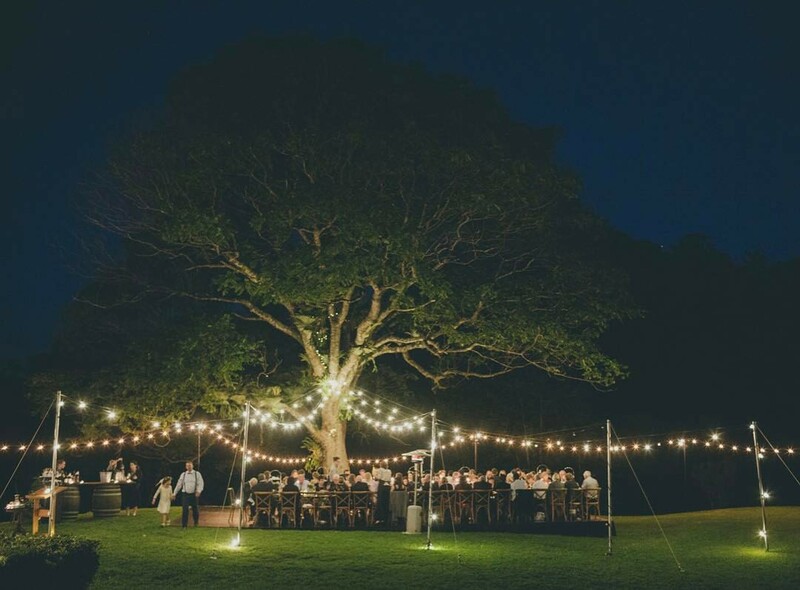 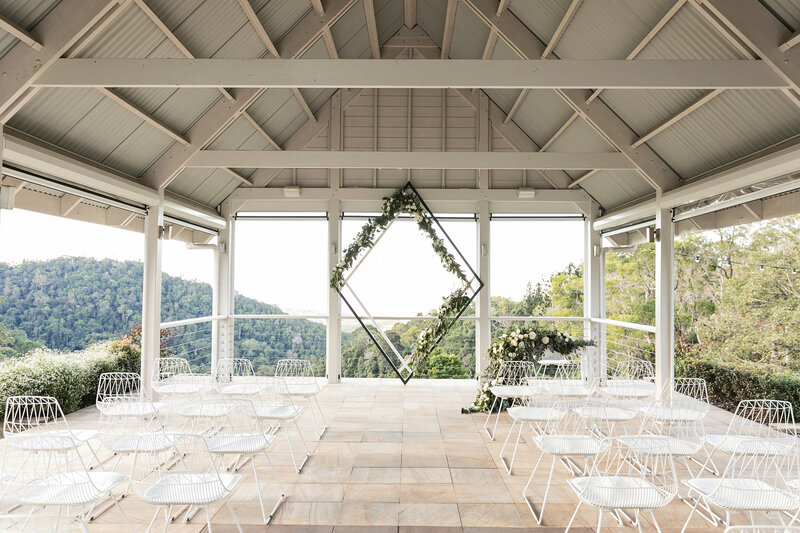 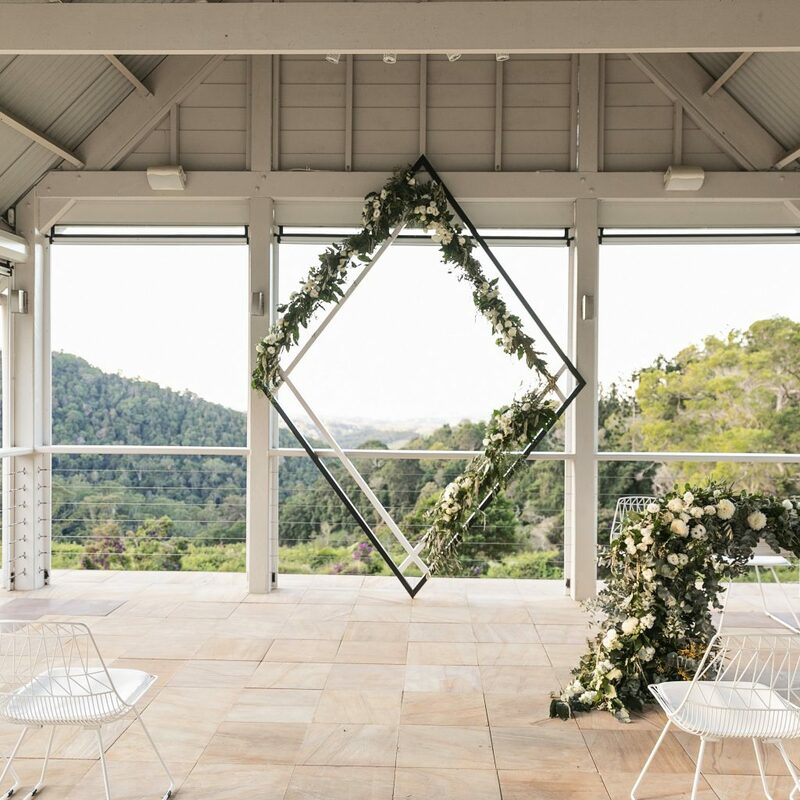 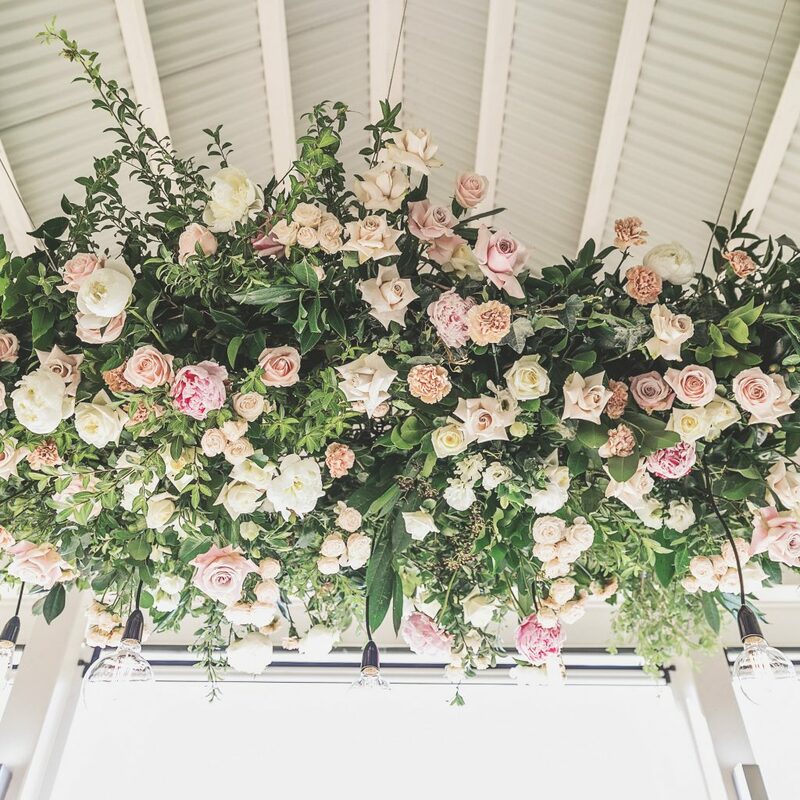 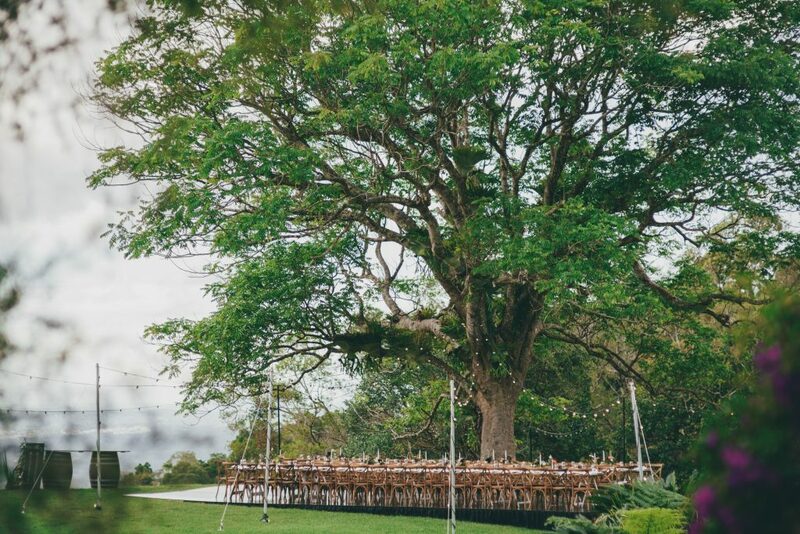 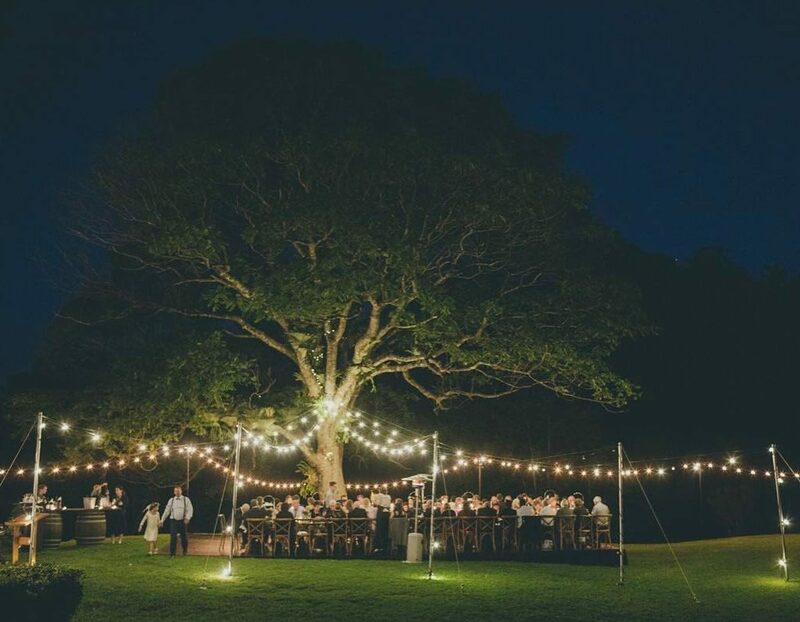 Use our expansive grounds and outdoor pavilion and go with the flow from inside to out in your own modern fresh wedding vibe. 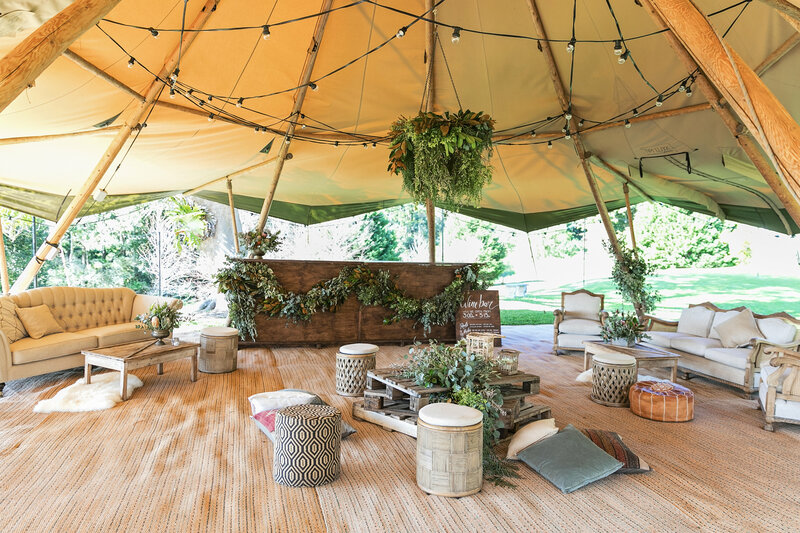 Should you wish to engage a full style concept with a structure for your bespoke wedding concept, start with the help of our experienced wedding team to help with the logistics. 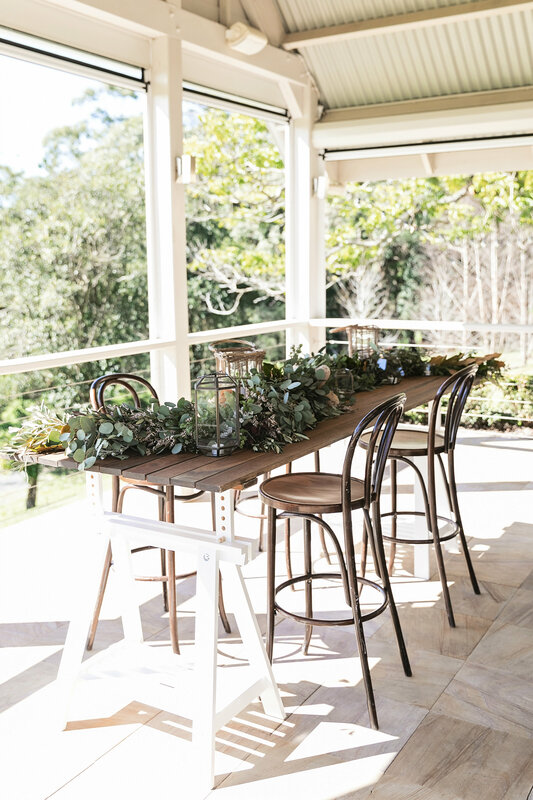 Dancing and indoor/outdoor bar are together centrally located, as everyone knows boogie and bar go together but then your guests can flow from inside to out taking in the view of the Sunshine Coast all lit up and the beautifully lit surrounds, creating a night time wonderland.But with a space for older relatives to sit,relax and chat inside in total comfort watching all the dance party fun.